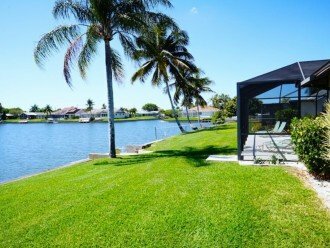 Loungin' by the Lake is the motto at this beautiful get-away!! 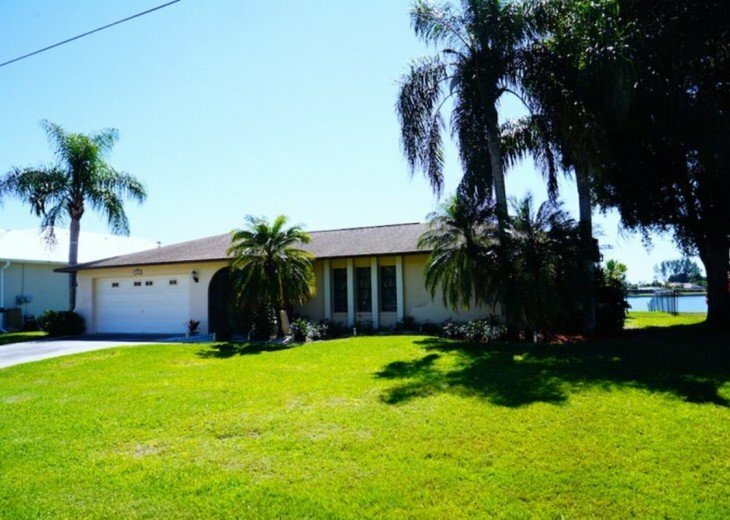 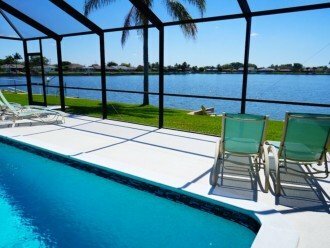 Welcome to Lake Mohave, a spacious Florida style home set in a beautiful neighborhood and featuring a stunning lake view. 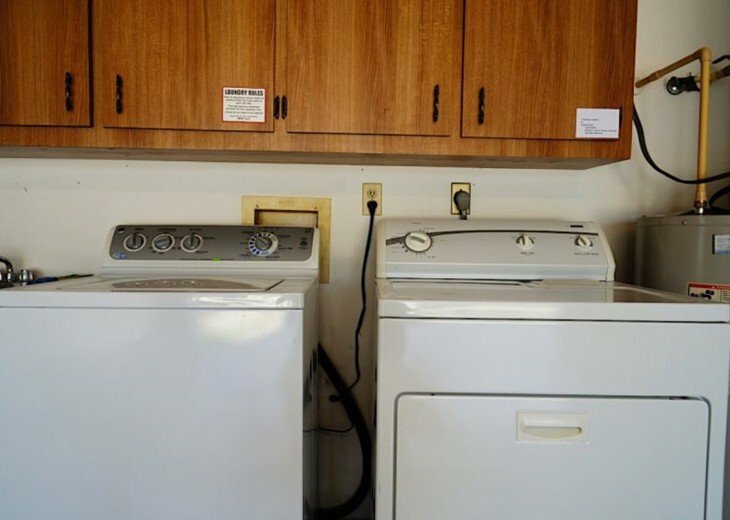 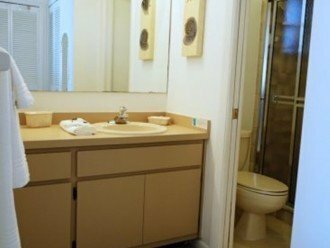 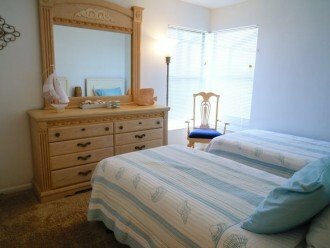 This 3 bedroom and 2 bathroom home features a master bedroom with king sized bed, walk in closet and TV. 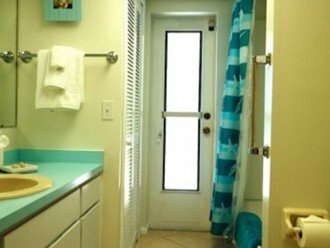 The master bathroom is equipped with a shower. 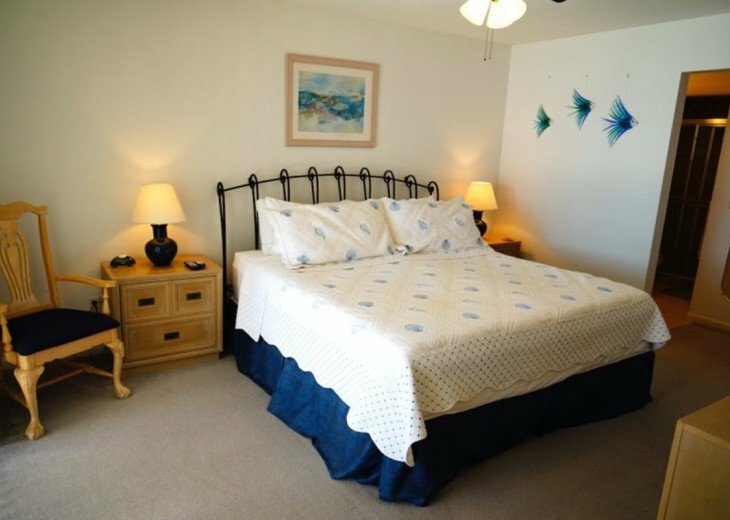 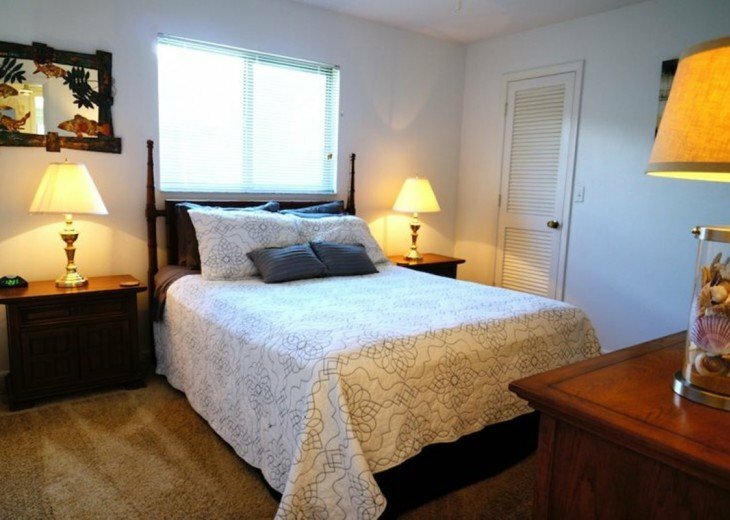 Guest bedroom 1 consist of a queen sized bed and TV whilst guest bedroom 2 has 2 twin beds. 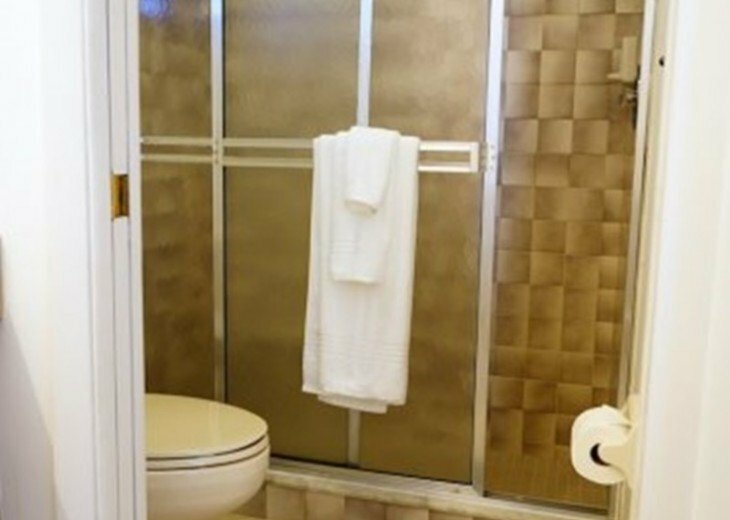 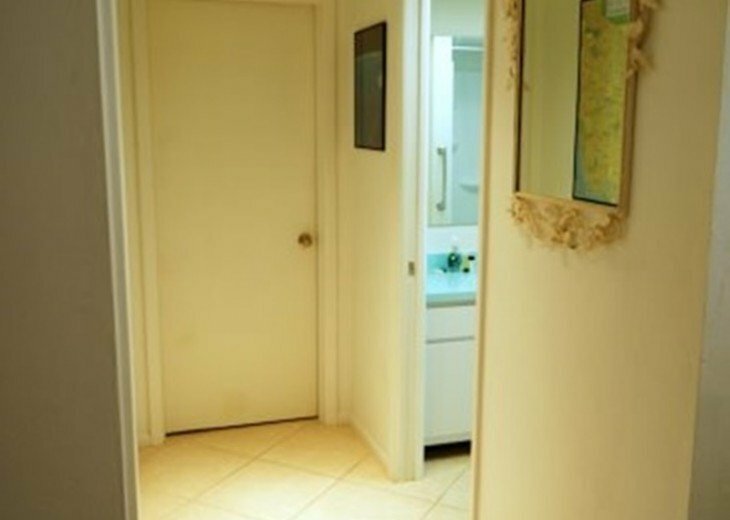 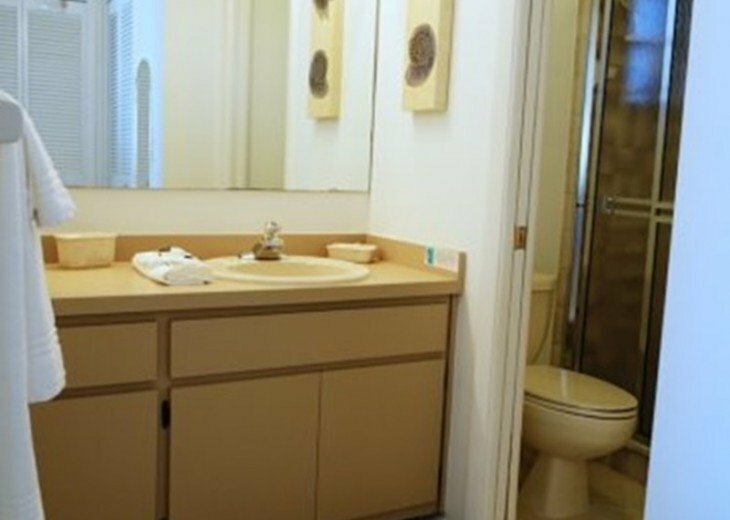 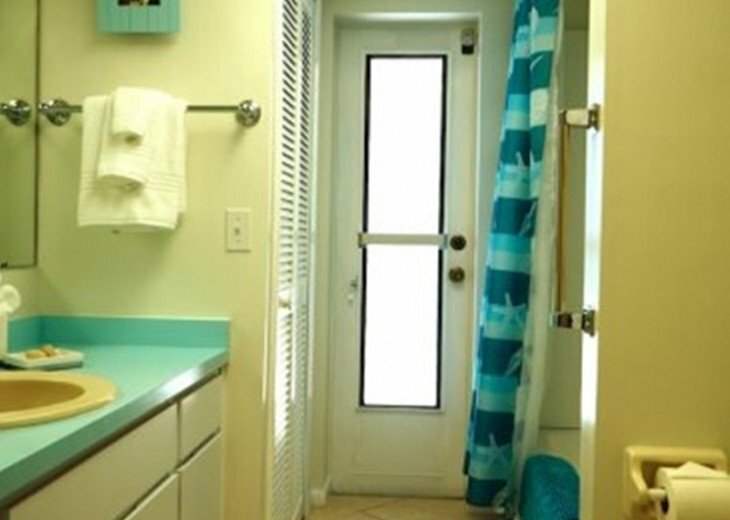 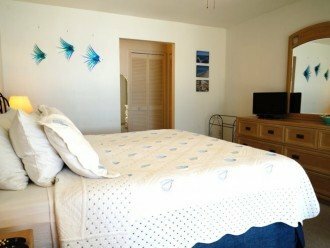 Both rooms share the bathroom which is also accessible from the pool area. The guest bathroom has a shower/tub combo. 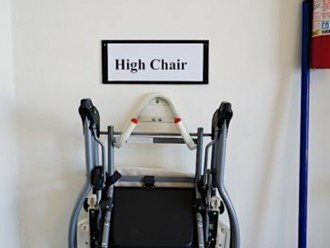 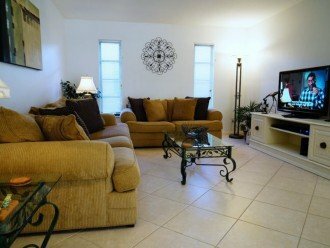 The home also has 2 living areas, one living room with 3 seater and loveseat overlooking a 50" TV and the family room for seating and reading on the opposite end of the home giving a little privacy. 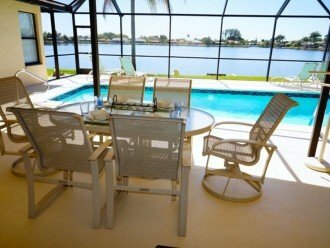 Lounging on the patio by the electric and solar heated pool allows year round warm water to swim in. 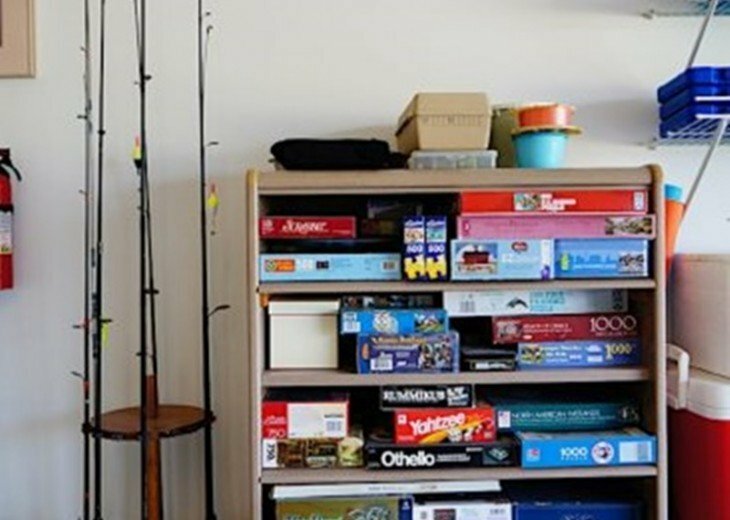 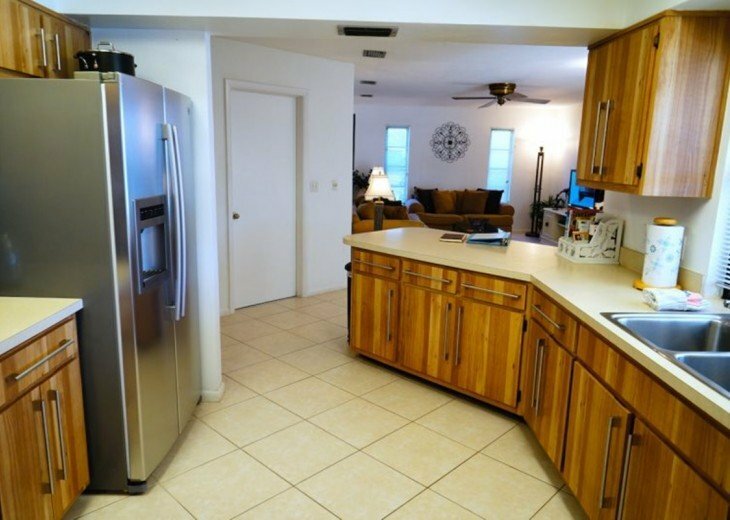 Entertaining made easy as the house also features a gas grill and plenty of games for all ages. 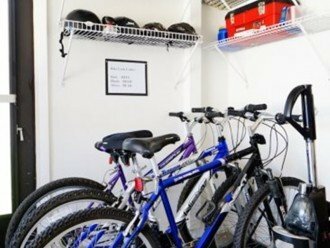 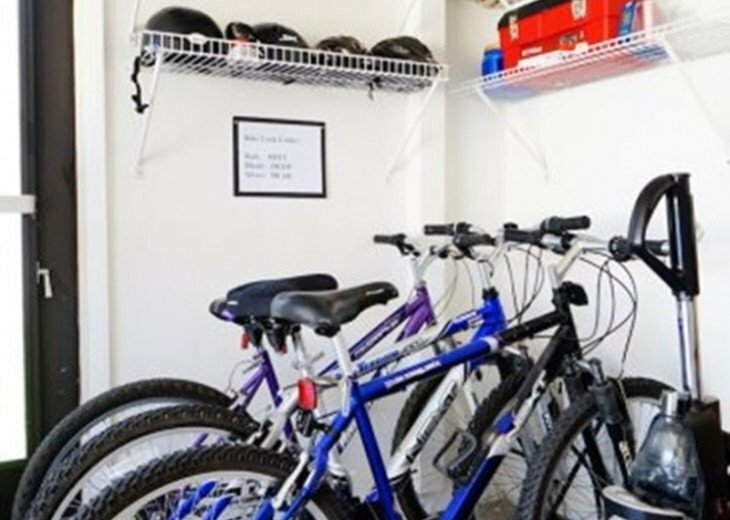 If you want to enjoy the neighborhood, there are 3 bicycles available for use. 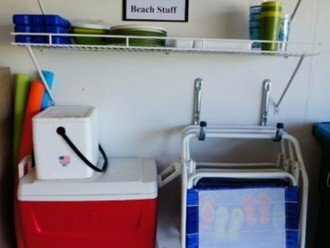 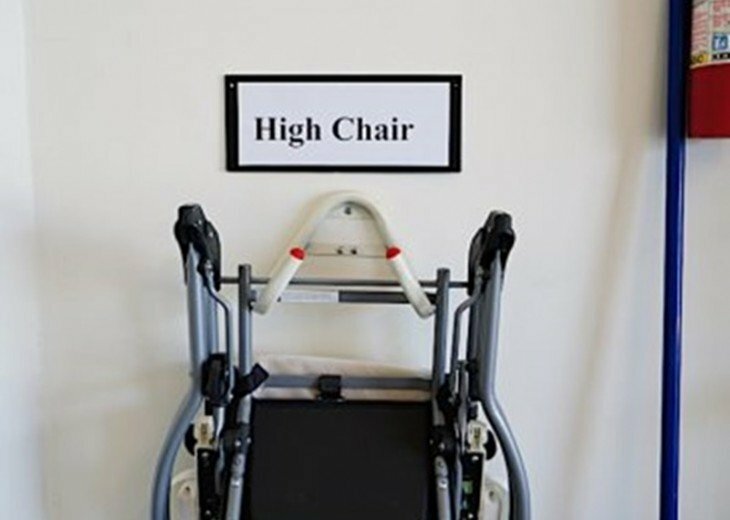 Beach equipment like chairs and coolers and even fishing rods for our avid anglers. 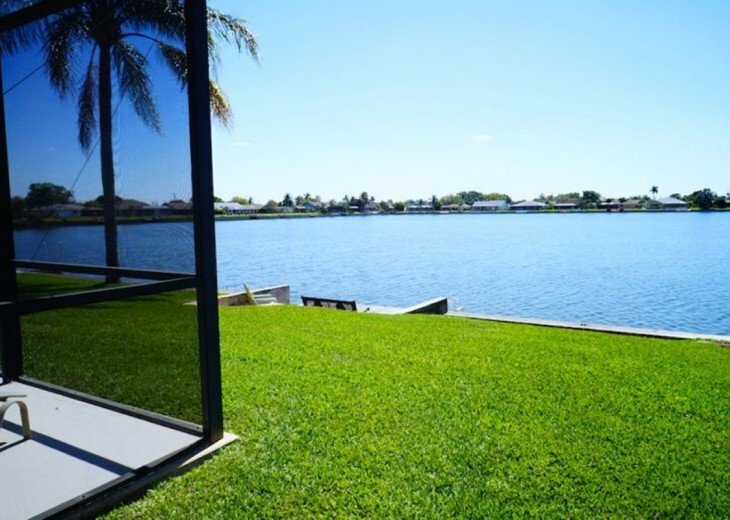 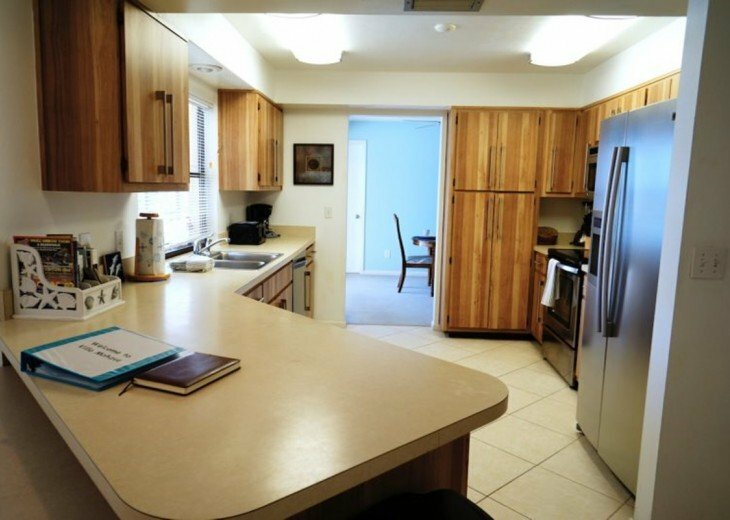 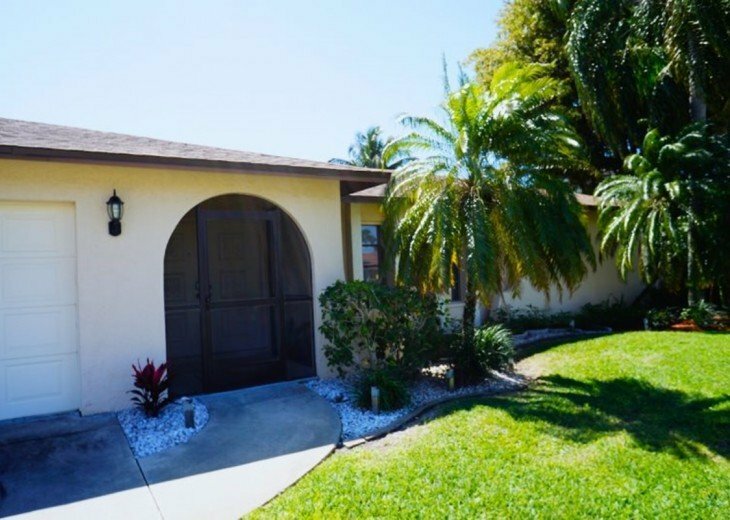 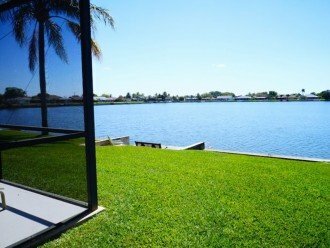 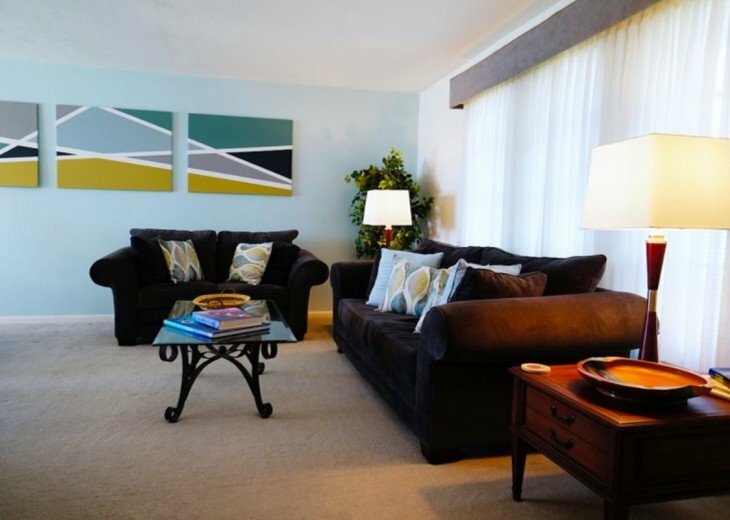 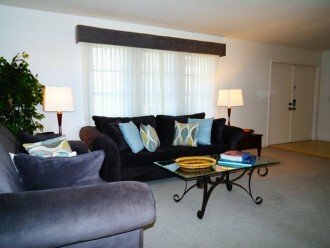 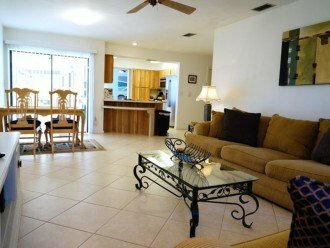 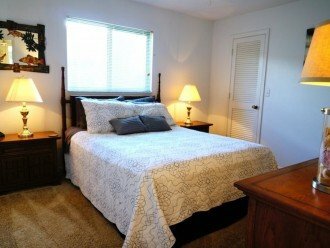 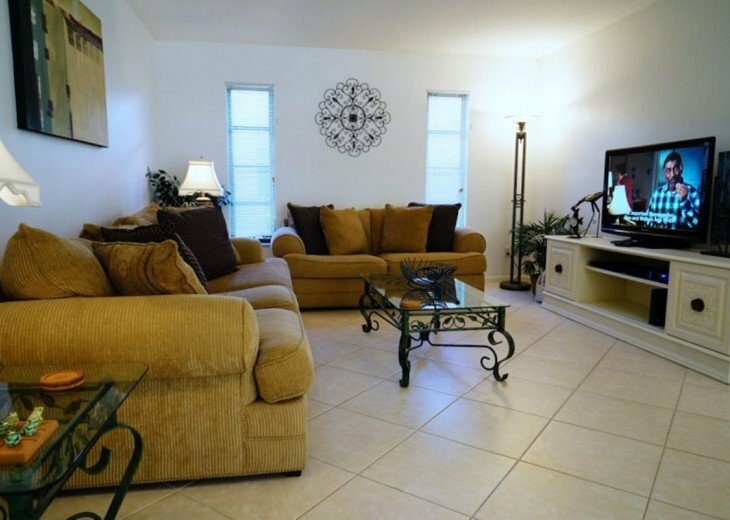 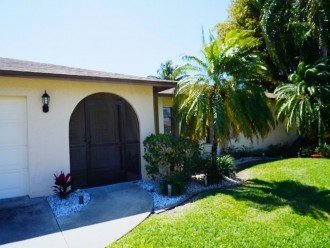 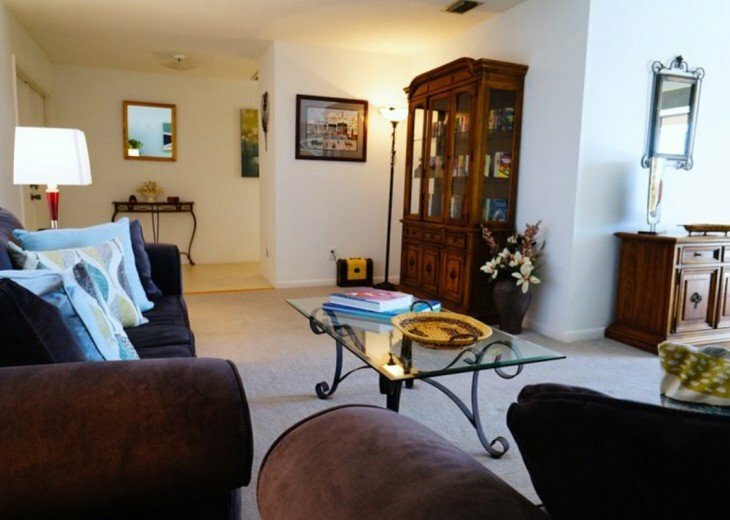 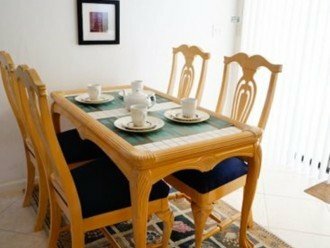 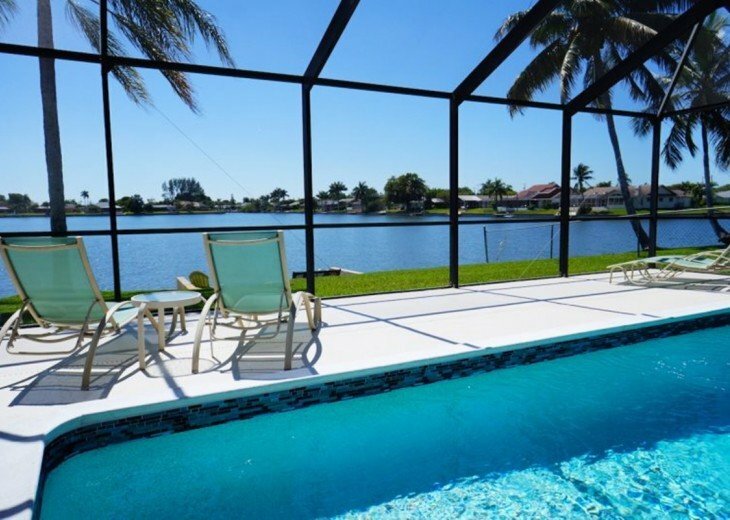 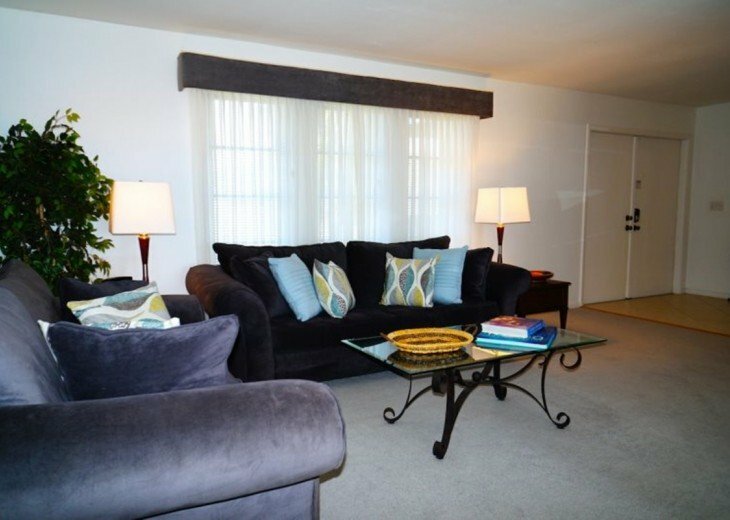 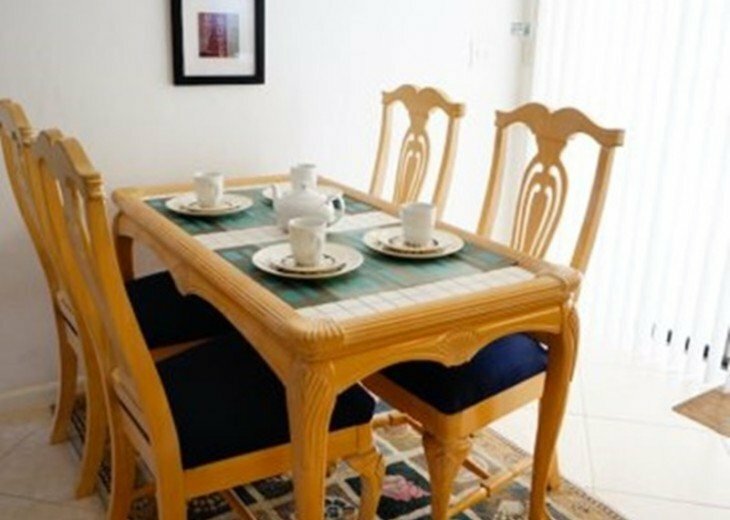 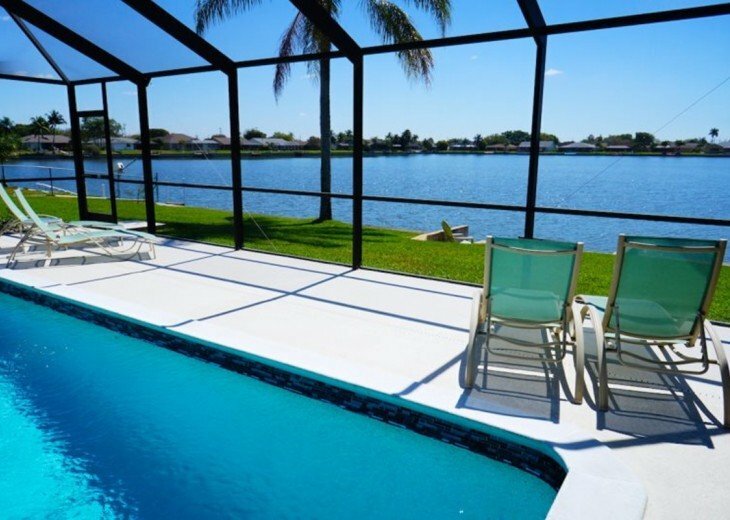 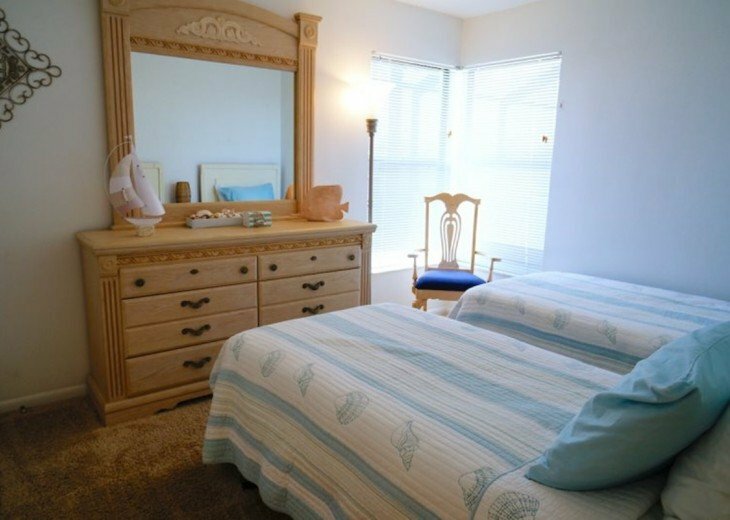 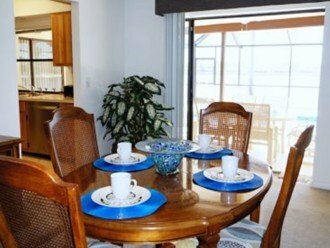 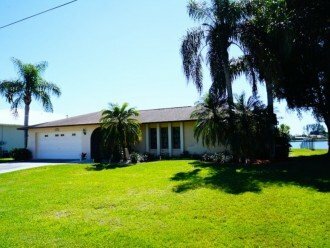 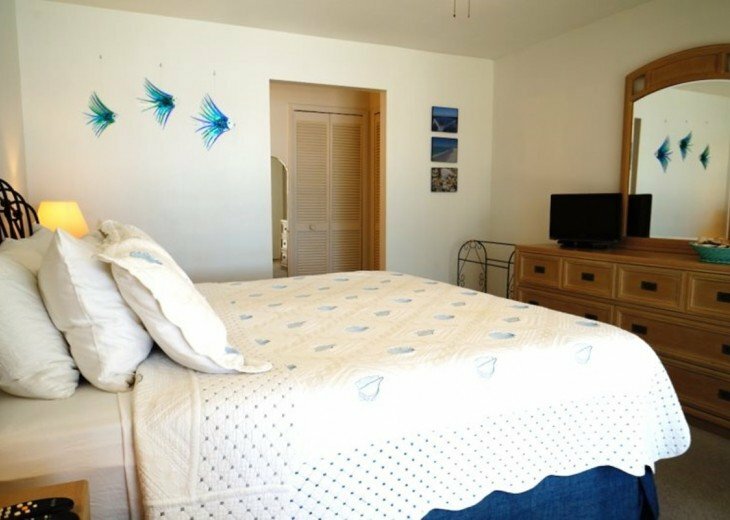 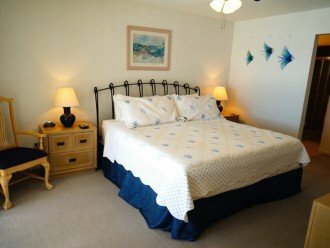 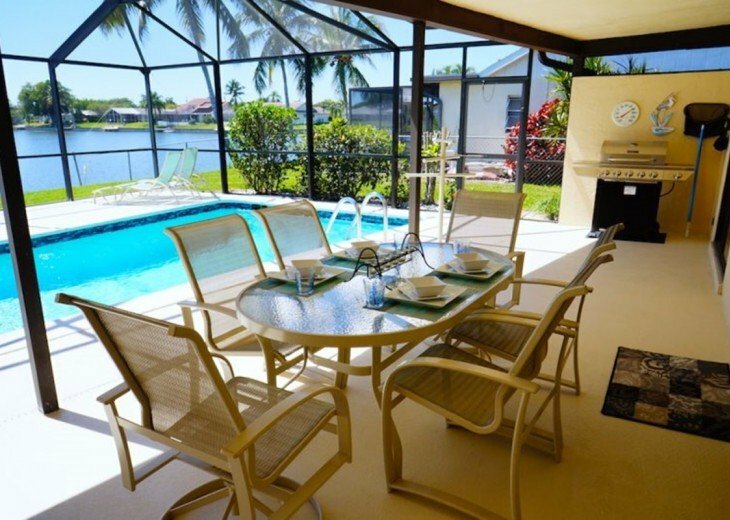 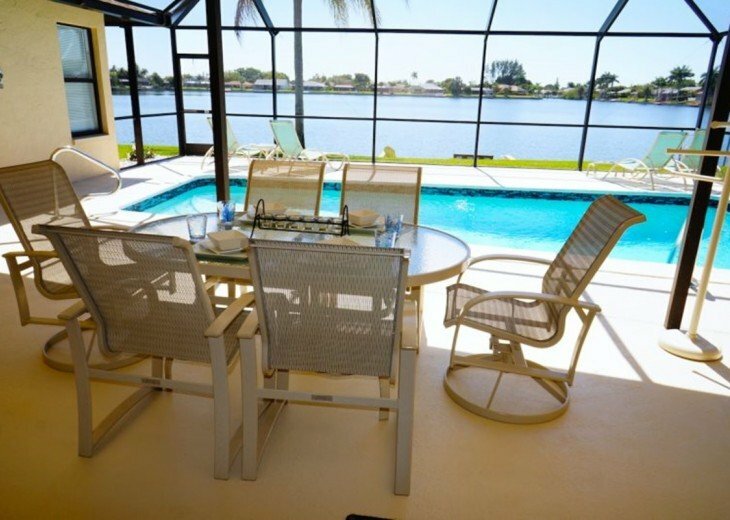 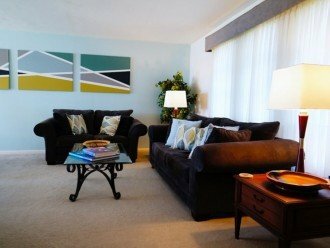 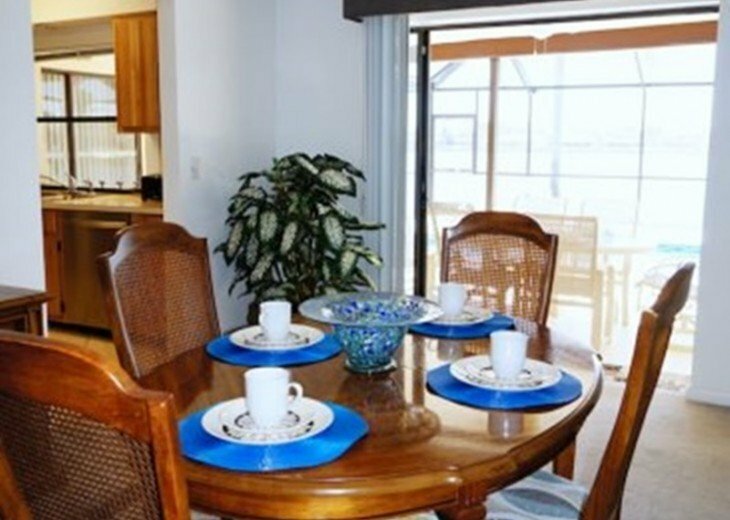 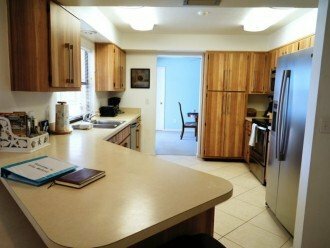 Come and enjoy Cape Coral and Lake Mohave today for a great vacation at this home away from home.